Spring came early in the Pacific Northwest this year. 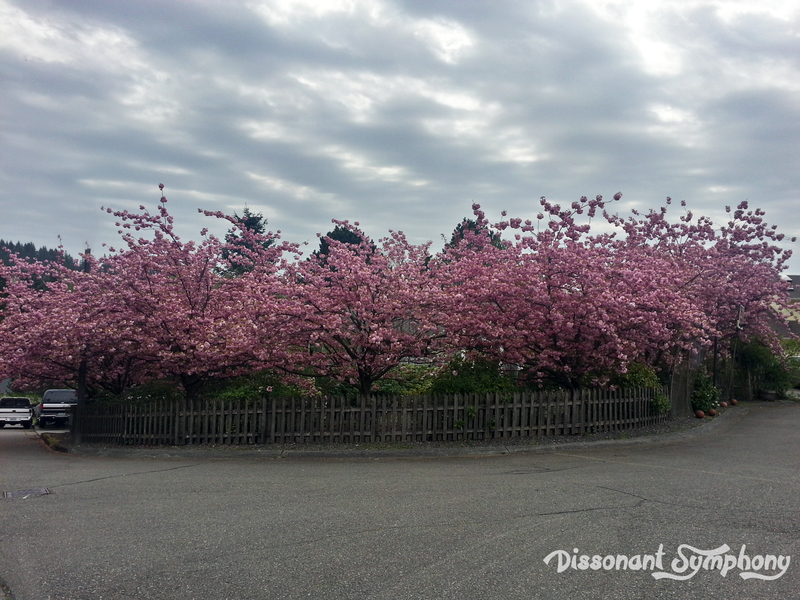 The flowering cherry trees were all confused by the unseasonably warm, dry February we had and bloomed wicked early. 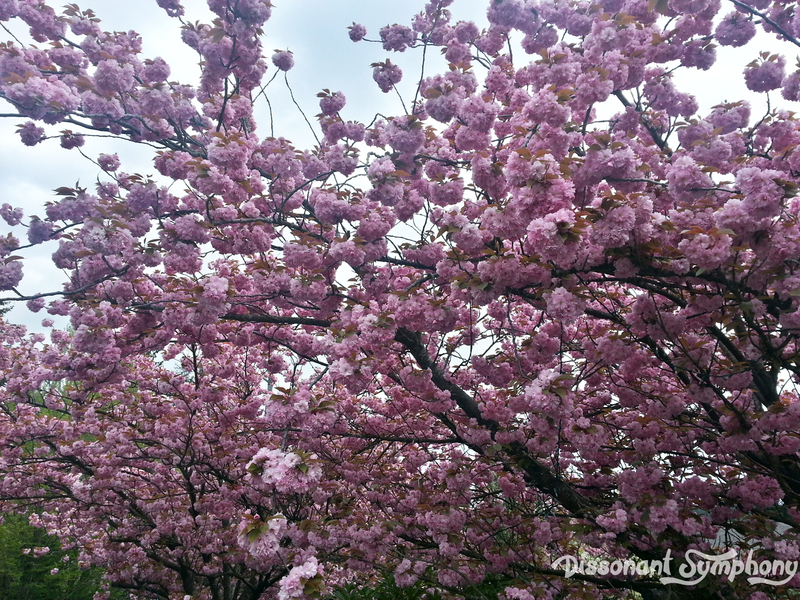 As a bonus gift from this premature Spring, I received the blessing of seasonal allergies. It’s the first time in my life I’ve been stuffy, red-eyed and generally annoyed over the coming of Spring. Uncool. Beautiful trees are not a sufficient trade off. 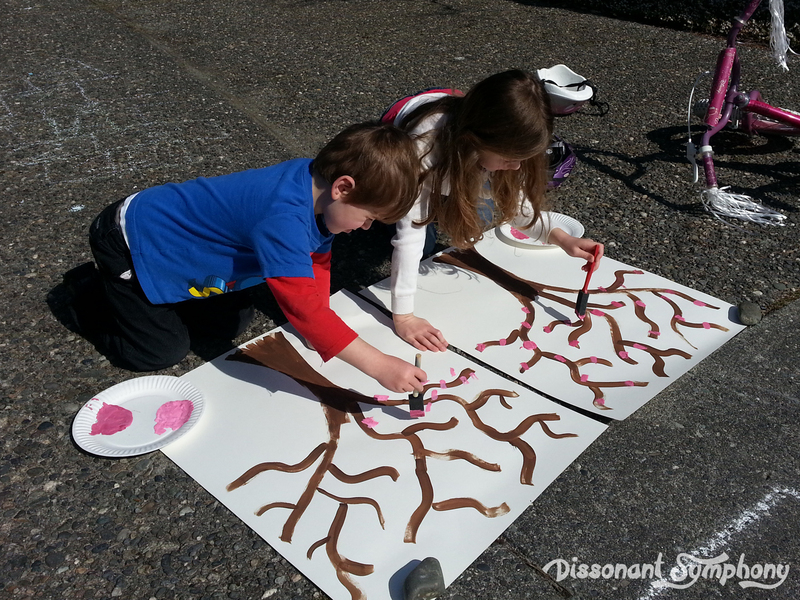 Flowering cherry trees and sunny weather are both excellent excuses for a little art time outside though, so my kids took a break from bike riding and chalk pictures to do a little painting. I took a sponge brush and roughly painted a trunk and branches in brown. It was so easy, my 8-year-old could have totally done this part herself. 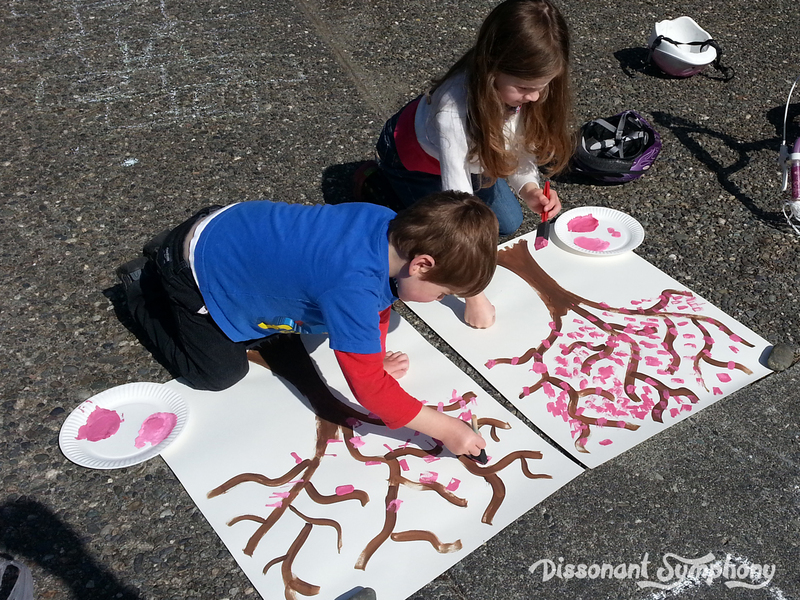 Then I gave each kid a paper plate with pink/red/white paint, let them mix them together and go to town splotching pink petals all over their trees. This was a quick and easy art project that they both enjoyed. My boy finished with far fewer petals than his sister. “The wind already blew a bunch of them off.” was his completely logical explanation. Ha! You could always make a more involved lesson by gathering yourself some blossoms and examining/drawing them in more detail before painting the giant tree.